Hiring a business coach for your business might not seem like something on the horizon but do just a little bit of research and you’ll find that a business coach can help you promote your business, create teamwork within your employees, and expand your business to be more productive. Here are five reasons you should hire a business coach for whatever industry you’re in. #1. You’ll have someone’s undivided attention on your business to help it grow and achieve mutual results. A business coach is working for you and your goals. A coach is not an advisor. They will not tell you what to do, they will help you organize what you want to do and your goals and lay out a plan to get there. #2. You’ll have someone that’s not afraid to correct and discipline you. This might sound scary but stay with me. A coach is really someone that will effectively discipline and correct when needed. A coach is not a counselor. They won’t tell you what you want to hear or simply listen to your problems. A business coach will find areas where you are making a mistake and help you correct those mistakes or help you pick up the pace in areas you might lack. Read More: Do I need training and coaching for the tech industry? #3. Your business will succeed. Now, I only say that if you actually put the time, work, effort and execution into what the coaches telling you to do. You may have a goal and your coach me tell you how to get there, but if you don’t implement the steps needed, you’ll go nowhere. Most businesses, I would say at least 90% of businesses, succeed and do very well after having spent some time with the business coach. #4. You will be accountable. This goes back to discipline and it might scare some people but having that accountability to keep you on track and moving toward your goal will only provide you success both now and in the future. #5. You’ll get unbiased opinions and the truth. Partners in business, employees and those that work within the company are not as likely to give you the honest truth as an unbiased outsider. Coaches are meant to do just that. 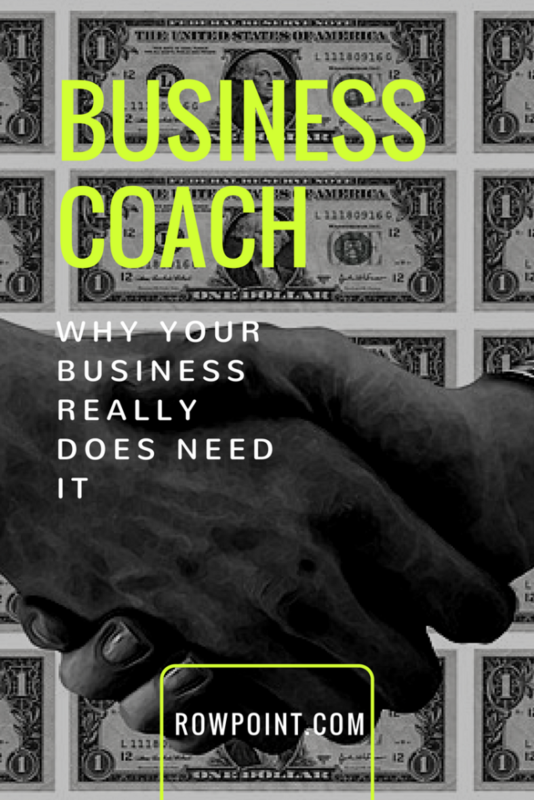 If you are looking for the truth, you want some serious answers and you’re not just listening to someone that’s going to tell you what they think you want to hear, a business coach is the way to go. They want you to discover those lightbulb moments that really will make a difference in your business and in your life. You might be surprised as to what a business coach will bring out in a person. This could be positive or it could be negative. But, having a business coach with your employees will also sift out those that do not share the common goal. It may be time to hire more or it might be time to let people go. If you’re looking for a great business coach throughout the Seattle or Puget Sound area contact Rowpoint it’s what we do and it is what we are good at.